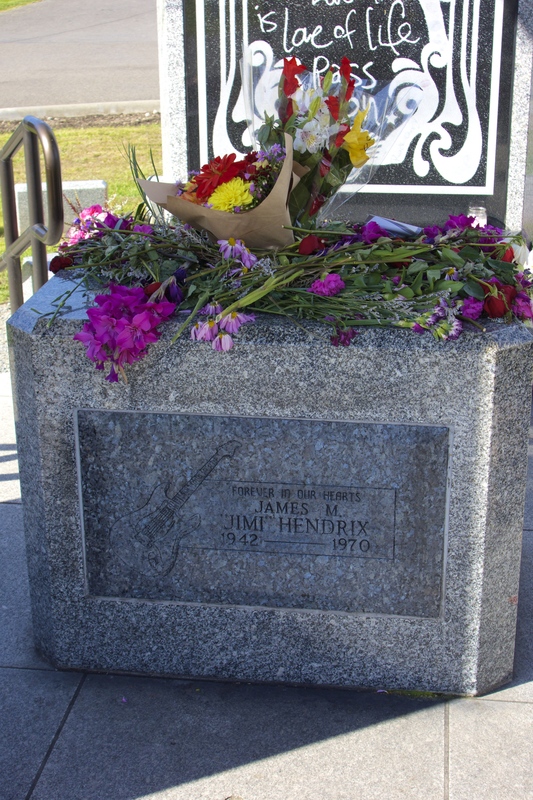 Just about every guitarist, from bedroom noodler to stadium shredder, knows Jimi Hendrix. 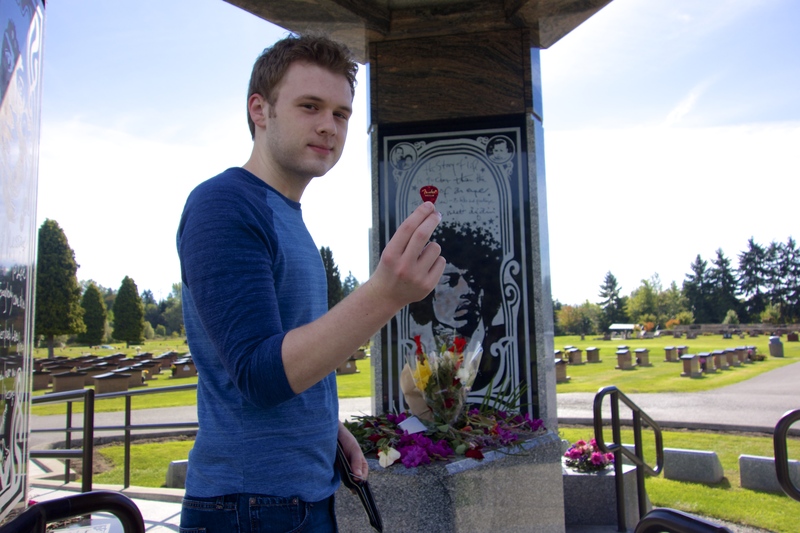 The man may just be the greatest guitar player to ever live and one of the most creative and original musicians in history. 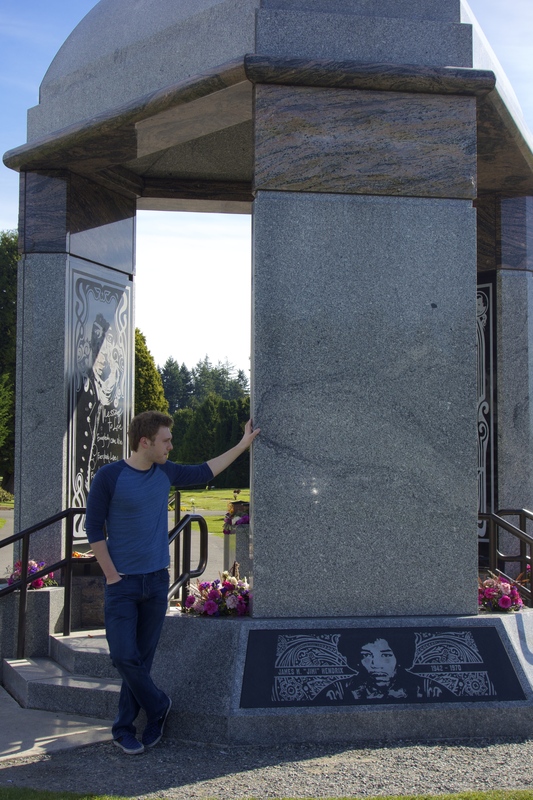 That’s why I was honored and thrilled to visit the Hendrix Memorial in Renton, Washington. 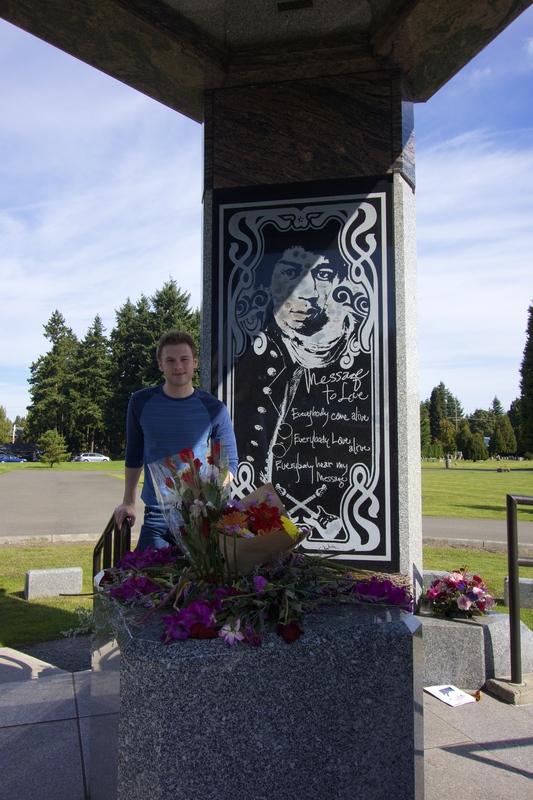 Like many other great musicians, he originated from the Puget Sound area, so it’s fitting as his final resting place. 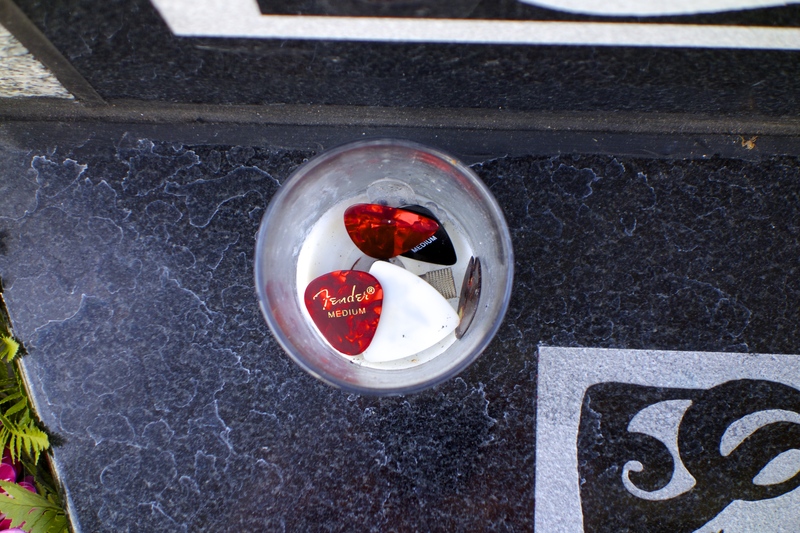 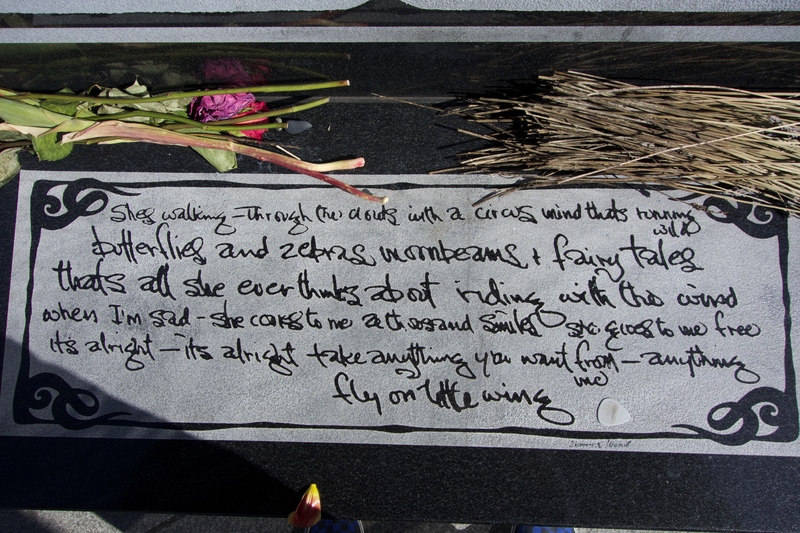 As I looked at the beautiful artwork and the handwritten song lyrics carved into the marble, I noticed a glass cup with several picks (and even a jack) left by other fans. 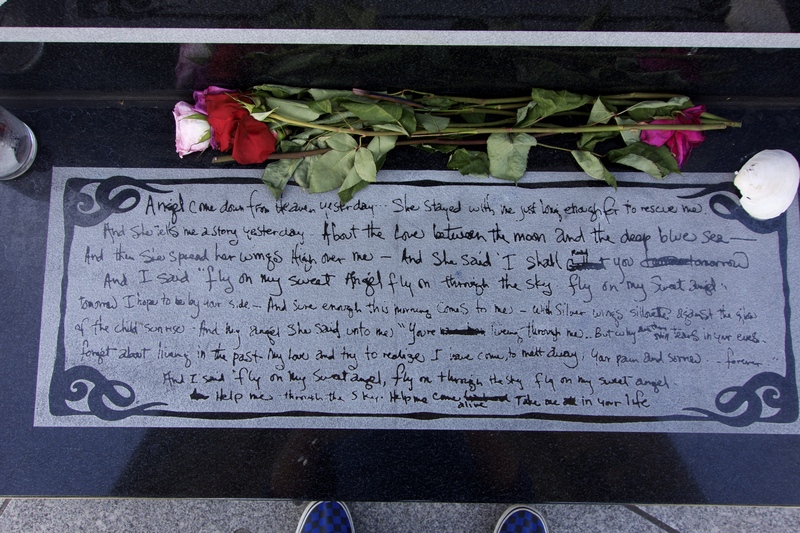 Luckily I happened to keep a Fender pick in my wallet, just in case. 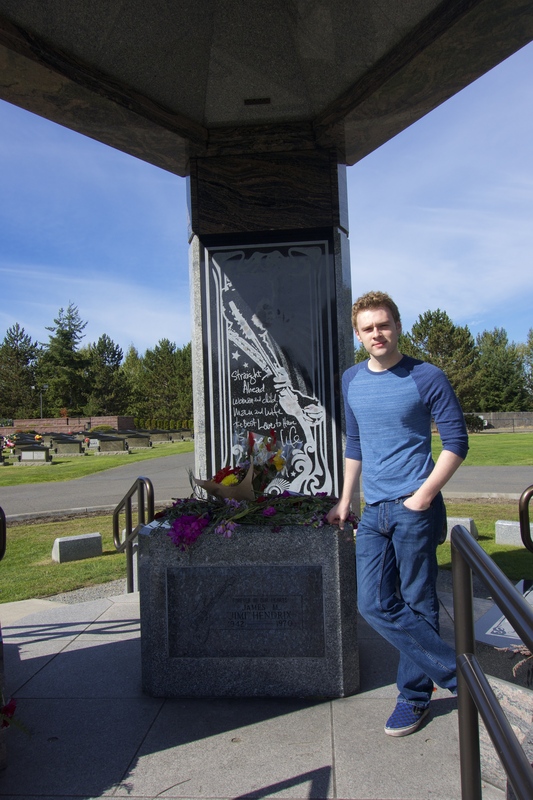 You never know when you might need one. 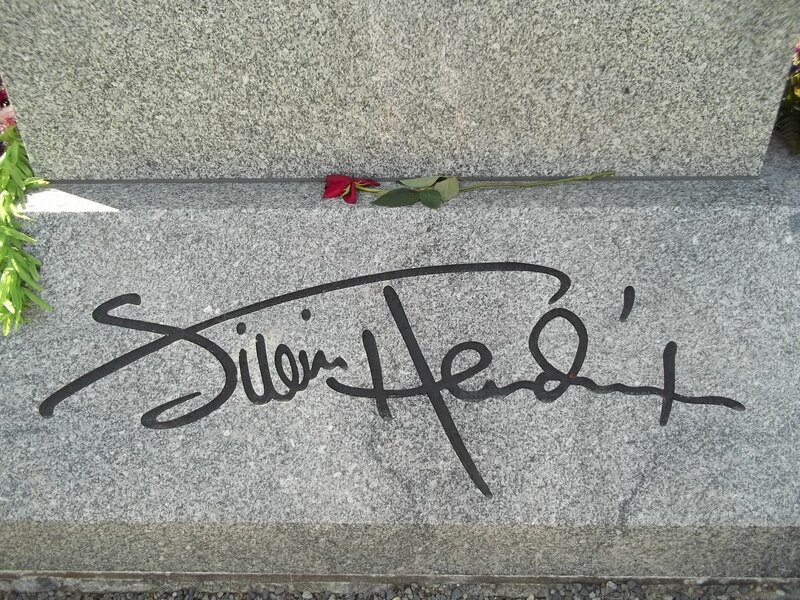 So I added it to the others left in tribute to this amazing artist. 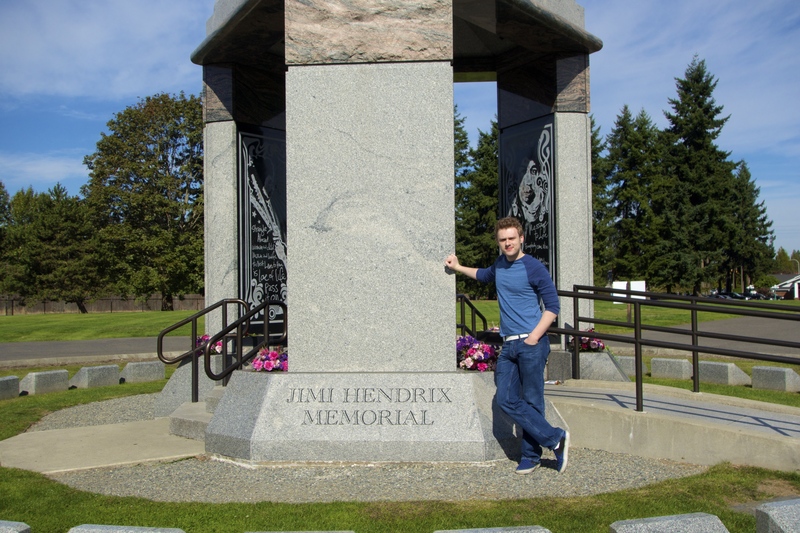 Considering the legend that Hendrix is, it felt almost like an appropriate ritual, as part of a spiritual pilgrimage. 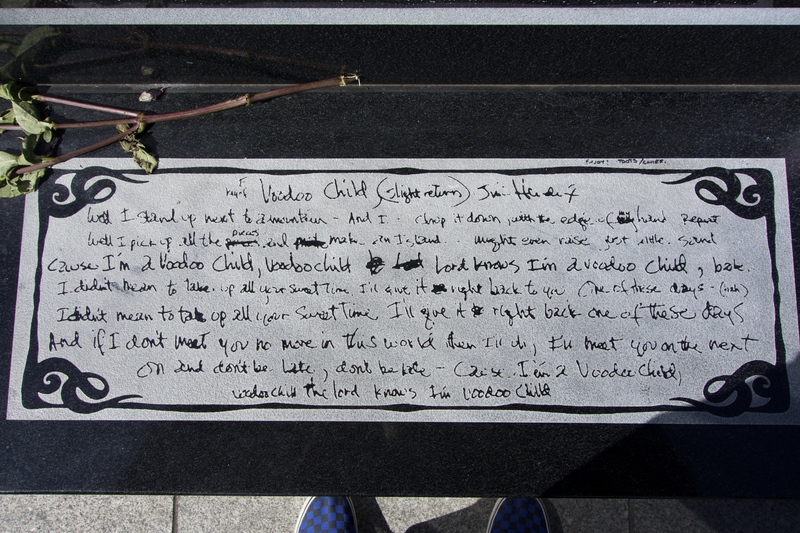 You can look through the photos below to see Jimi’s handwritten notes for Voodoo Child, as well as all the tributes his fans have left for him.